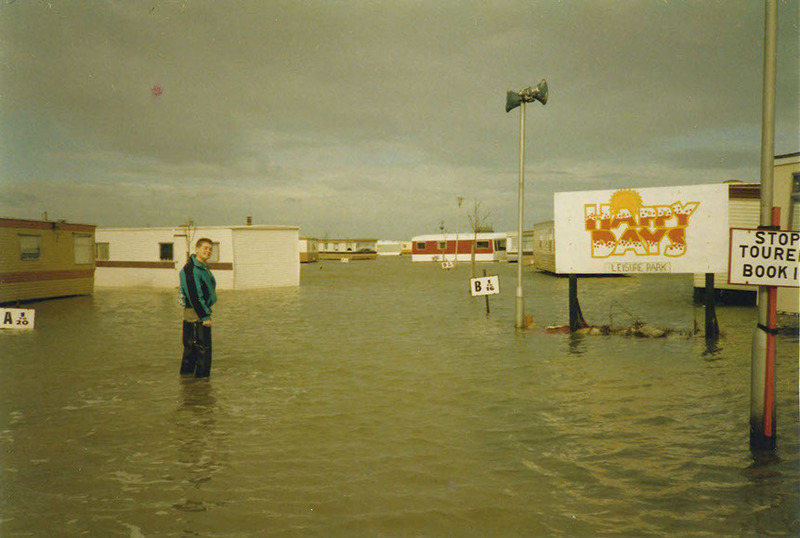 We would like to let you know a little about our family and our history into the caravan park industry since 1986. 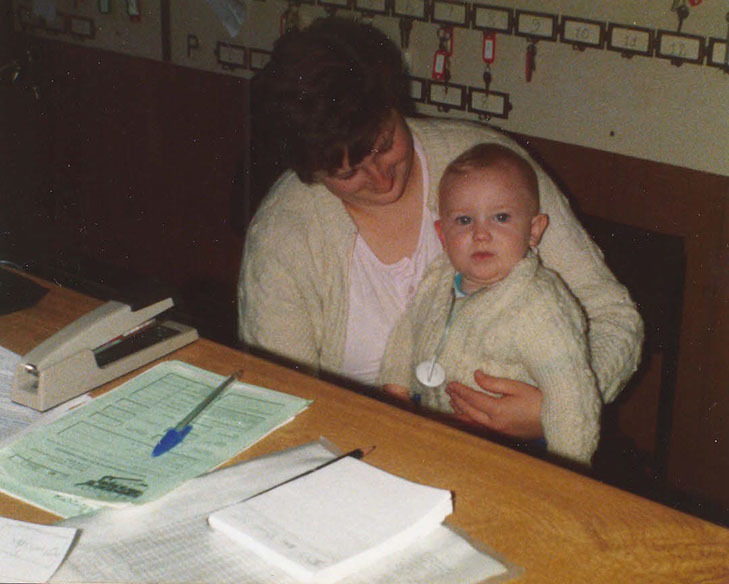 As many people enjoy holidays with their families this is how it all started for the Whitehouse family to become Holiday Park Owners from being holiday makers. My Parents and Lee’s grandparents Ken & Barbara Whitehouse used to look forward to and enjoy our family holidays at the North Wales Coast as working in the family catering business in the Midlands known as Midland Patisseries where myself and my older brother Steve also worked in from leaving school was very busy and most times very stressful, our parents looked forward to their getaway breaks from their normal busy and tiring working schedule. We would go to North Wales as often as we could and ironically always book the same caravan on the Caravan Park to have our holidays in, it used to feel like it was our own as we stayed in that caravan for years and we got quite attached it was also quite an old caravan but we loved it ! 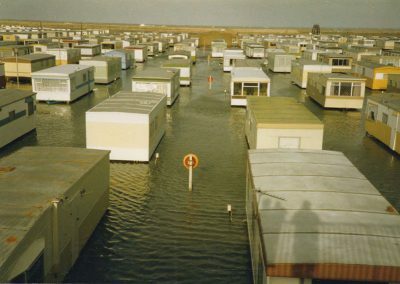 It was one year that the owner of the holiday park suggested to my dad that for the amount of times we booked this caravan we may as well buy one and that the one we used to holiday in was for sale. We couldn’t believe it when dad agreed we were so excited when he came back from the office and said well we can holiday now as much as we want in our so loved caravan. It didn’t stop there as what happens when you get a caravan, everyone you know wants to book a holiday!! To cut a long story short we ended up with five caravans on different Parks one which we kept for ourselves and we hired out the others. Every weekend now we would be at the park and making sure the caravans were cleaned and ready for the customers. Now we was not only busy in the week at work at the factory baking and making cakes etc we were now busy on a weekend. 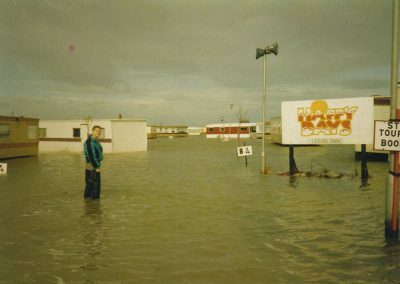 One sunny day in 1986 on the Rhyl promenade my dad asked us if we would like to move to North Wales and work on a holiday park and they would sell the catering business and home. 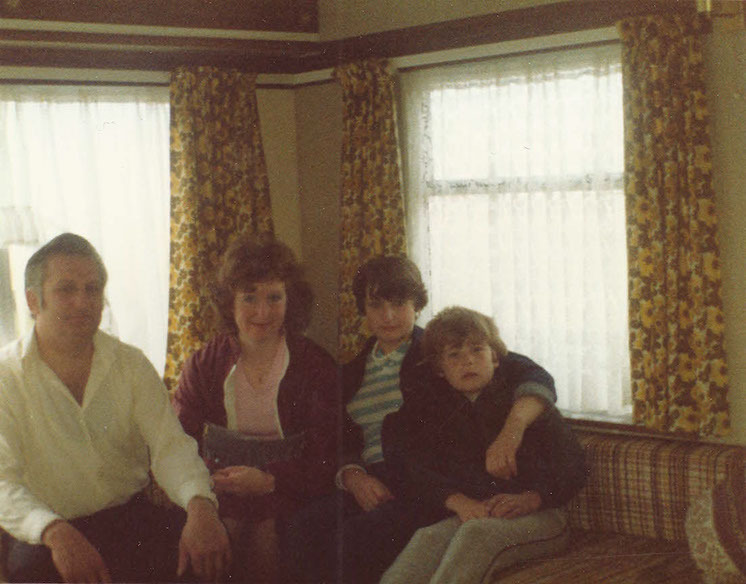 It wasn’t a decision my parents took lightly as they were moving their family to an industry they knew little about but we all had the passion for the caravan industry by then. I must admit the idea of living at the seaside and working on a holiday park was very appealing but I soon realised it was going to be no beachin holiday!! 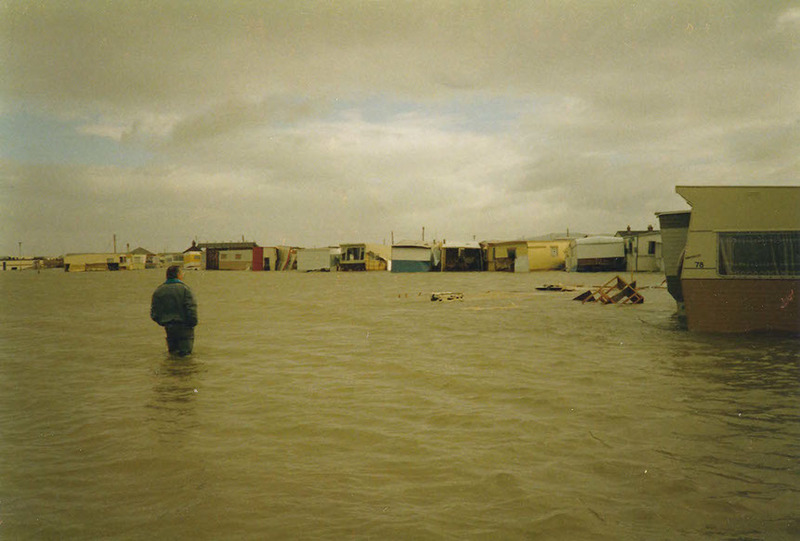 The first Park was purchased in October 1986 called Happy Days in Towyn and the family gave it our all it was hard work as the park was mainly tourers pitches and tents with just 27 static caravans. So over the next few years we had the tourer pitches converted to statics and in October 1990 we had a total of 315 caravans on the park and we were in our elements. 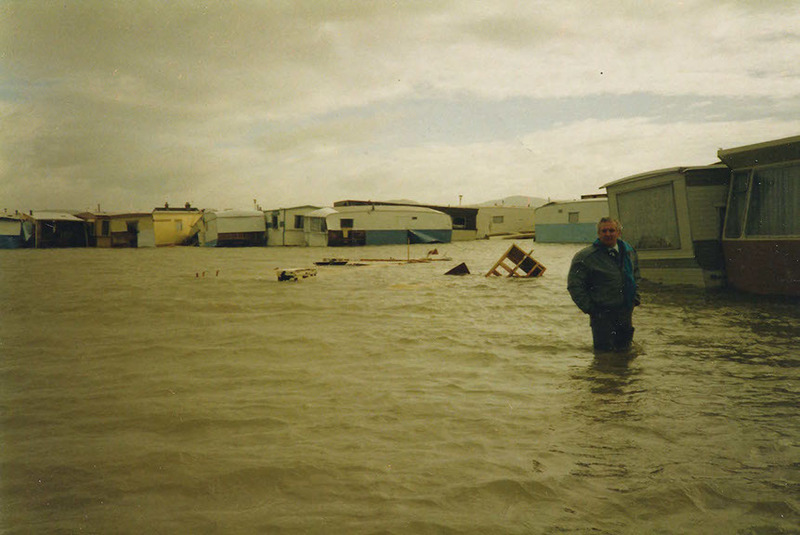 Unfortunately in the February we had a disaster as the sea wall breached at the back of our park and along the coastline of Towyn and we had the worst floods which went as far as Bodelwyddan. 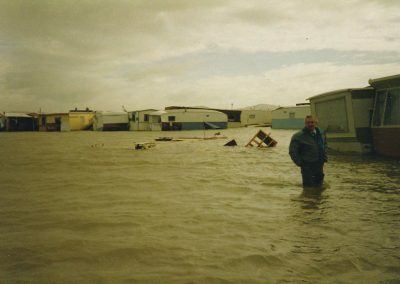 Towyn was devastated it was awful to see the homes, caravan sites and shops under water the whole community had to start all over again. We managed to work hard and along with everyone else in Towyn and get our park back up and running again. 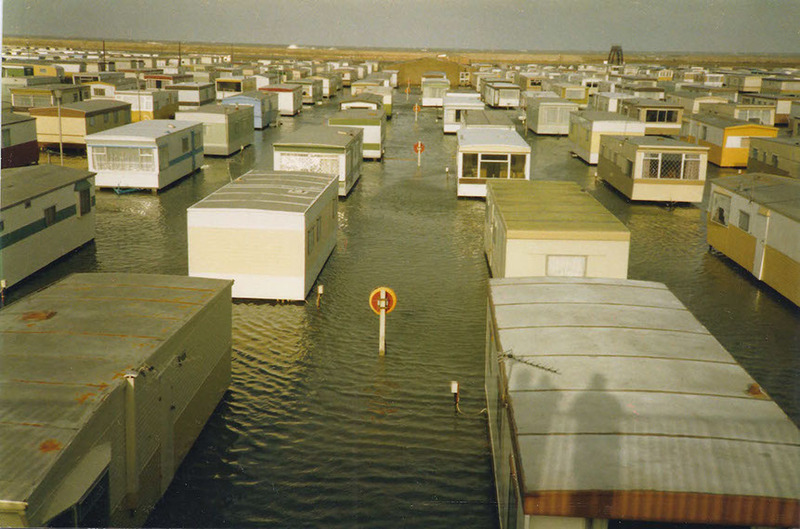 The owners who had taken out the new for old Insurance where fortunate and had new caravans, although we did lose quite a few owners due to only having market value Insurance and also the floods unnerving them and didn’t want to come back to the park. 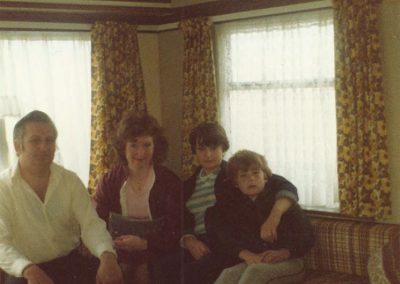 Over the years within the family this being my parents, myself and my siblings Pam, Steve & Mark and later my son Lee and nephew Andy who also worked in the family businesses we have successfully owned a total of 12 Caravan Parks in Cumbria, North, Mid and South Wales. These Parks have ranged from holidays, touring, privately owners only, owners and residentials and the fact that owners over the years have followed us to our parks and come back to buy again after leaving for either health or financial reasons is a testimony in itself. Llwyn Celyn Holiday Home Park is a family owned Park with myself Diane and my son Lee who is a partner in the business we look forward to the future and the third generation carrying on in the family business. 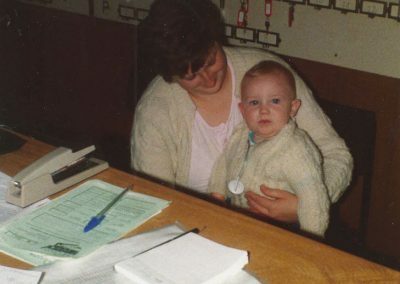 My Parents are still very much a part of what they started all those years ago and are always here to help out and this is what makes Llwyn Celyn a genuine family run business.